technicians to ensure that HVAC systems are being properly tested and balanced. This book is used in test and balance self-study courses, in-house training programs, seminars and other training formats as preparation for TAB certification, and as a text in colleges and technical schools. The fifth edition it is arranged in five parts. Part I has general and specific balancing procedures for constant air volume systems, variable air volume systems, return air systems, and fans and fan performance in Chapters 1 through 9. 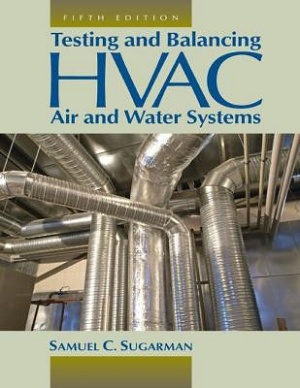 The six chapters, 10-15, in Part II cover testing and balancing fume hood systems and cleanrooms, commissioning HVAC systems, centrifugal pumps and pump performance, analog and digital controls and water balancing procedures using flow meters, system components and temperatures. and graphics for Chapters 1 through 7, and Chapters 13 and 14.